Stephanie West (Iervoline) started practicing Pilates in 2002 after a car accident left her with a broken pelvis and back. After 11 months of physical therapy, she was out of pain, but had limited strength and range of motion. Kimberly Karpanty, a Pilates Instructor with Core Dynamics(c) and dance professor suggested Pilates as a way to transition back into dancing full time. Pilates was the only form of rehabilitation that worked her range of motion and challenged her strength. She got back to dancing stronger than ever before. Stephanie graduated from Kent State University (Ohio) with a BFA in Dance Performance and Choreography. Stephanie then went on to study dancer injuries and movement analysis at the Laban/Bartenieff Institute of Movement Studies (NYC) and is a Certified Movement Analyst. 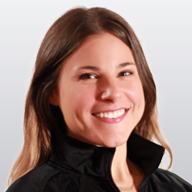 Stephanie has a passion for teaching Pilates, and her strengths include identifying a clients' strengths so that together they can "work what works." Utilizing the skill set Stephanie has acquired through her training at Power Pilates and many years of movement experience, she knows that "Movement Heals" and that a proactive and positive approach is what will make change occur. By working at Power Pilates, and becoming a Teacher Trainer in 2012, Stephanie is continuing to sharpen the teaching tools that make her such an approachable instructor. "Our every day lives continuously take us away from our mind/body connection. Pilates is the way I connect my mind to my Powerhouse, and want nothing more than to guide others towards that awareness." Pay a $250 Non-Refundable Deposit Now to Hold Your Seat. Balance of $350 must be paid before Sat, Jul 06.